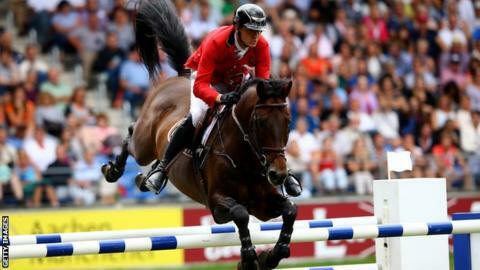 Belgium won showjumping's Nations Cup and Great Britain finished second in a dramatic finale in Barcelona. The British team of Ben Maher, Joe Clee, Jessica Mendoza and Michael Whitaker were equal fourth after Thursday's opening round. But with Laura Renwick substituting for Whitaker, they rode strongly in the final round to edge out Netherlands. Gregory Wathelet secured victory for Belgium with Saturday's final round.